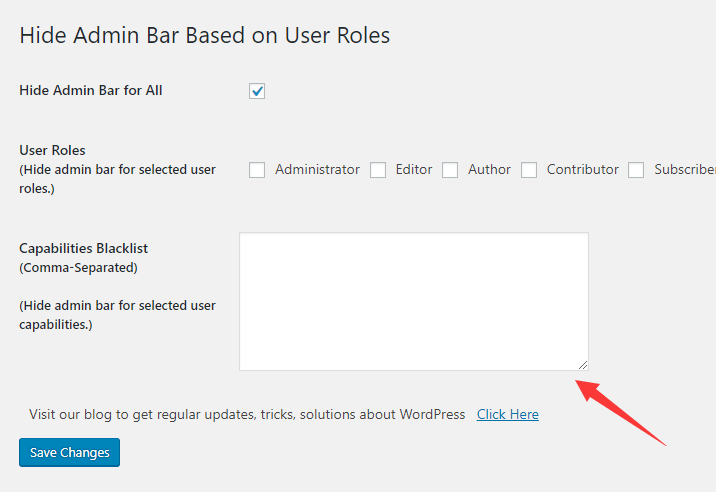 A small yet useful WordPress plugin used for hiding the annoying admin bar depending on the user roles and/or selected user capabilities. 3. 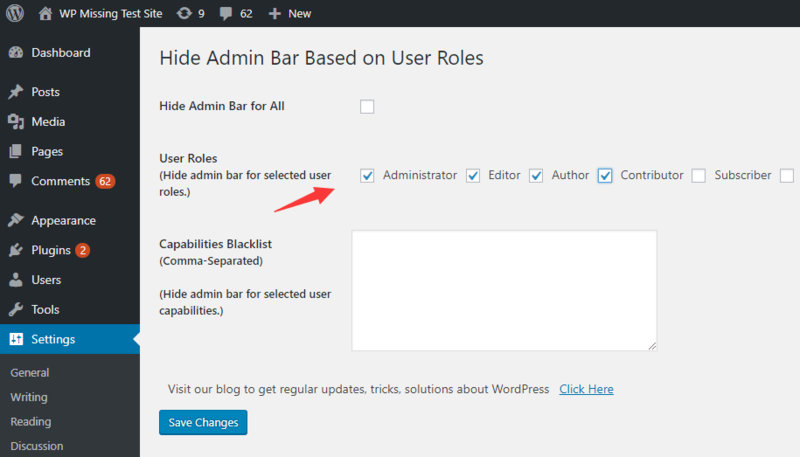 Go to the settings page select the user roles to hide the admin bar. 4. 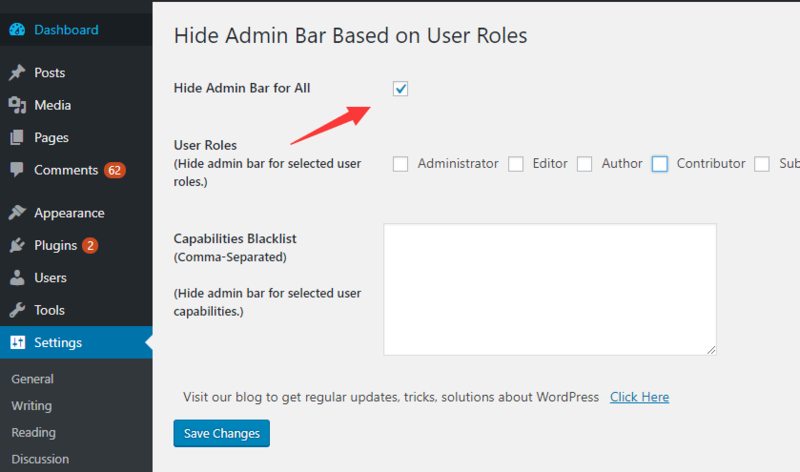 The plugin also provides an option to hide the admin bar for all users. 5. Customize the capabilities blacklist (Comma-Separated) to hide the admin bar for selected user capabilities.